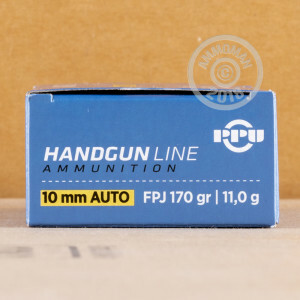 Keep your shooting costs down with this dependable 10mm Auto ammunition from Prvi Partizan. These cartridges fire a medium weight 170 grain flat point jacketed bullet at 1,115 feet per second. For the 10mm Auto, FPJ bullets are essentially the same as FMJ ones. 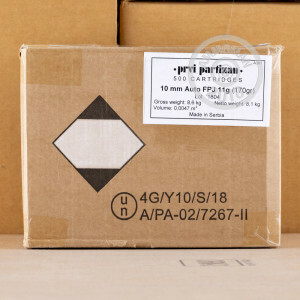 Prvi Partizan ammunition is loaded in Uzice, Serbia and uses non-corrosive Boxer primers and reloadable brass cases. 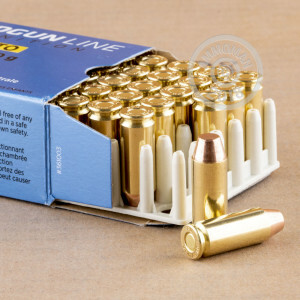 This case of 500 rounds (divided into 10 boxes of 50) is a great way to save at AmmoMan.com. We ship all orders over $99 at no additional charge, even if you're buying a case or two.